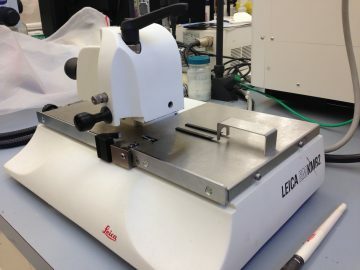 The BIF has equipment to cut thick samples using a vibratome or ultra-thin sections with ultramicrotomes. 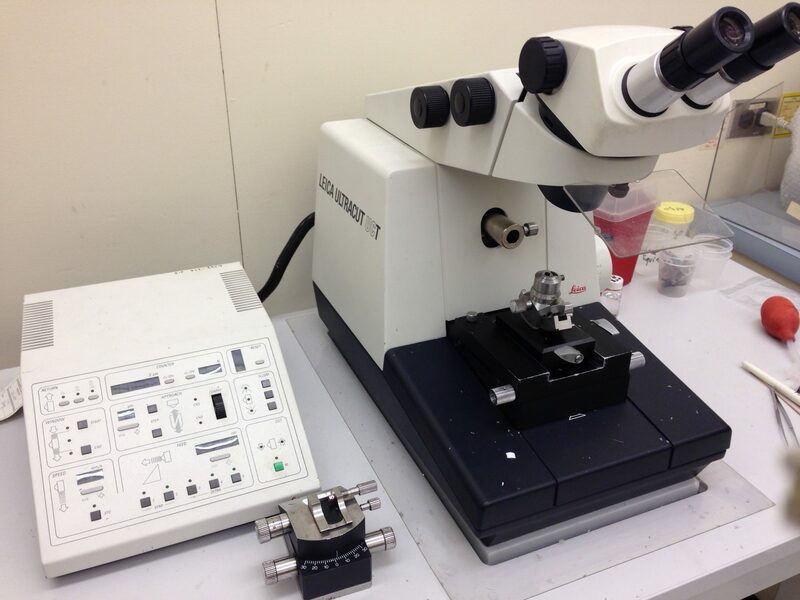 Ultramicrotomy is a method for slicing specimens into extremely thin slices, called ultra-thin sections (usually >100nm thick), that can be studied and documented in a transmission electron microscope (TEM). 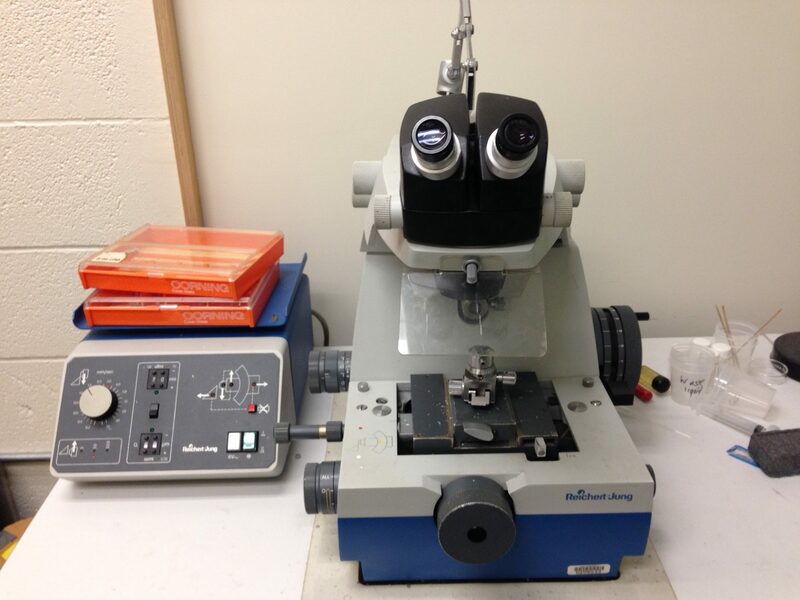 It is commonly used for biological specimens, but sections of plastics and soft metals can also be prepared. 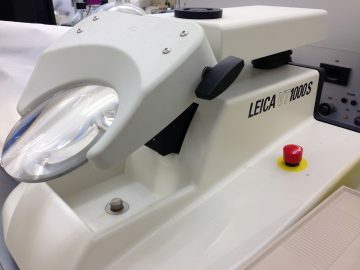 Three ultramicrotomes are available in the BIF for cutting semi-thin and ultra-thin sections (<100nm) of resin embedded material for light microscopy and TEM. 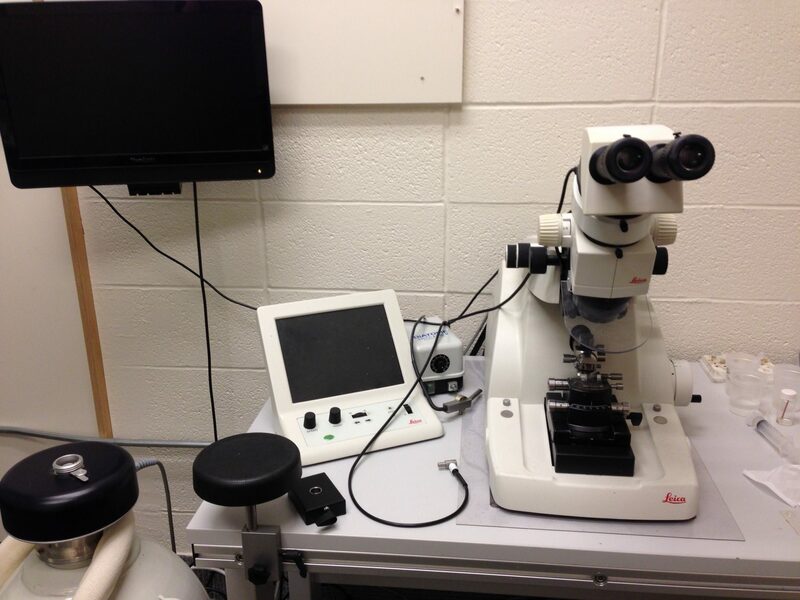 - Cryo-ultramicrotome for cutting frozen samples for the Tokuyasu technique for immunolabelling, and for high-pressure frozen samples for cryo-electron microscopy for vitreous sections. FC7 cryo-chamber maintains the temperatures as low as -160C. The Leica EM KMR2 glass knifemaker produces 45 glass knives from 6.4, 8 and 10 mm thick glass utilizing the balanced-break method.